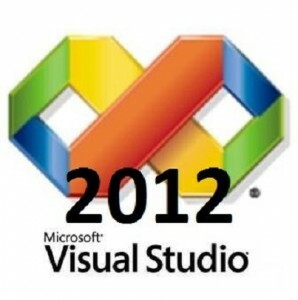 Anyone that has a MSDN subscirption can now download Microsoft’s new Visual Studio 2012 development environment. In addition to providing many improvements. The most significant aspect in the development for WinRT is the support for asynchronous operations, with async and await keywords making it simpler to use the Task Parallel Library and create more responsive services. Internally, WinRT itself runs very close to the hardware, but it abstracts to such a degree that WinRT applications can run on Intel devices as well as ARM devices. For application development, Visual Studio 2012 offers tools and components that range from templates and debugging tools to simulators. C++ developers mainly benefit from improvements to the editor. Highlighting, IntelliSense support and code snippets provide a significantly more pleasant working experience. The C++11 standard, which was released last year, is now also supported. In terms of C# and Visual Basic, the new async feature significantly simplifies the writing of code that is to be executed asynchronously. Simpler for-each loops, iterators, call hierarchies, and global namespaces provide new “food” for the VB world. The ALM (Application Lifecycle Management) area, which has seen steady growth in previous VS versions, has also been further extended. Backlogs, sprints and tasks can be managed through agile tools, while stakeholder and storyboard tools support the management of work teams and the integration with Microsoft Project and Project Server.